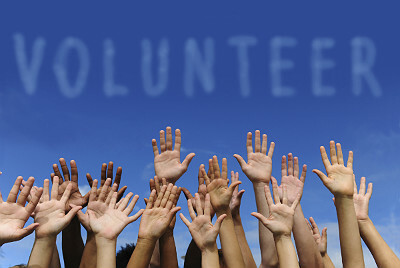 Volunteers who are dedicated, trustworthy and willing to work hard are incredible assets to any nonprofit organization. If your current volunteer program is struggling, you might be surprised at how many people would be willing to serve if they were offered the chance. Paying closer attention to how and what you communicate just might be the catalyst you need to grow your volunteer team. Every nonprofit needs the time, talent and dedication of volunteers to make things happen. You may think that people in your organization realize that their service is needed, but that's not necessarily the case. Tell them about the great volunteers who are already helping out. Then mention that more volunteers are needed, and be specific about which areas need the help. If they don't know there's a need, they aren't going to volunteer. It's that simple. 2. You don’t have to serve everywhere — in fact, we won't let you. It's so tempting to max out a volunteer who has proven to be reliable and trustworthy. However, if you're constantly asking the same few people to handle more responsibility, you'll wear them out. Also, watch out for the superdedicated volunteers who start sprinting and then flare out within the first year. Protect them from themselves and don't let them serve to the point of exhaustion or neglecting their family. 3. We want to help you discover your talents. Serving in a nonprofit is a great way to connect with others who share similar ideas and beliefs. You never know might be revealed to you as you serve in the little things. Have your volunteers take personality tests to help them discover their talents. Then work with your volunteers to leverage that information to find the best volunteer role that uses those gifts. 4. We value your talents and want your feedback. You don't have to have all the answers. Tap into the skills, expertise and fresh ideas of your volunteers to make every area of your organization even better. You likely have business executives, entrepreneurs, artists, tradesmen and more in your organization who have a lot to contribute in their areas of expertise. Don’t waste that talent — leverage it by asking for their feedback and ideas. We all like to know that our efforts are noticed and appreciated. Tell your volunteers how grateful you are for their service. Send handwritten thank-you notes, post a shoutout on social media, mention an extraordinary effort from the stage, or simply say "thanks" in person. As a volunteer myself, trust me — a simple "thank you" goes a long way. Your volunteers need to hear from you. You're providing them with a great opportunity to serve, and they're helping you expand the capacity of your nonprofit organization. Work together to achieve more than you could alone by keeping the lines of communication open.